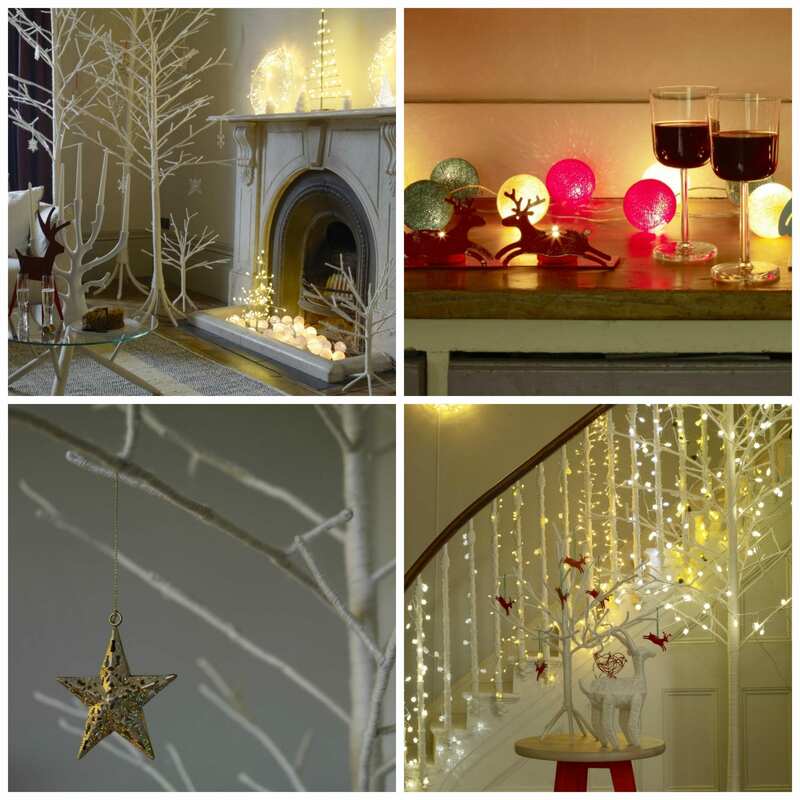 A few weeks ago I was lucky enough to be invited along to view the new Habitat Autumn and Winter Range, as well as a selection of Christmas goodies that will be in store later this year. I’m a big Habitat fan and was so disappointed when the company ran into financial difficulty in 2011 and had to scale back its operation. Now with just 3 London stores and the website, a selection of products are thankfully available throughout over 200 Homebase stores as well as online with Argos. If you saw my Desk Makeover recently you’ll understand how fond I am of their products. So what can I show you from the recent event and what did I think of the new range? Mostly it had the usual retro styling that Habitat is renowned for. Pared back simplicity using quality fabrics and textures and bold pattern choices. And I loved a lot of it. 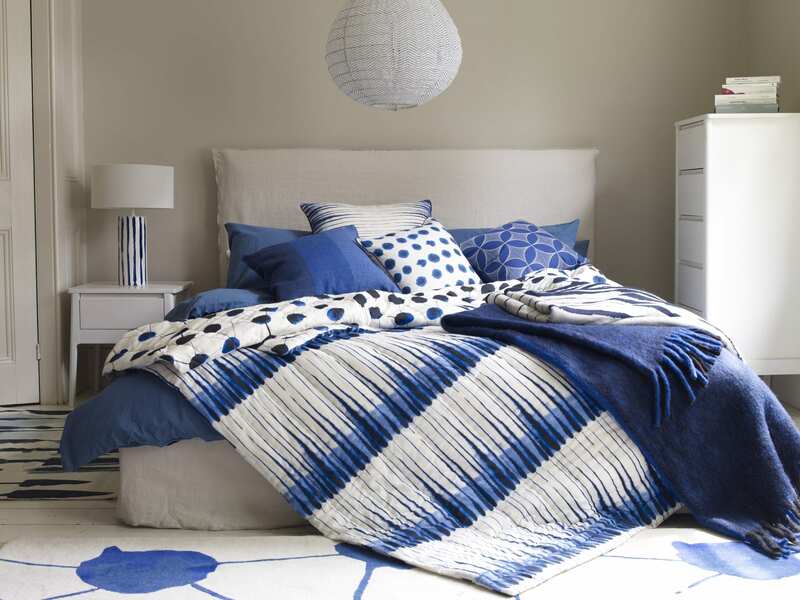 Indigo featured heavily across textiles, rugs and surface patterns; a strong shade with bold blots and splodges of intense colour. This was a winner for me and it worked really well. I can see this being very popular. 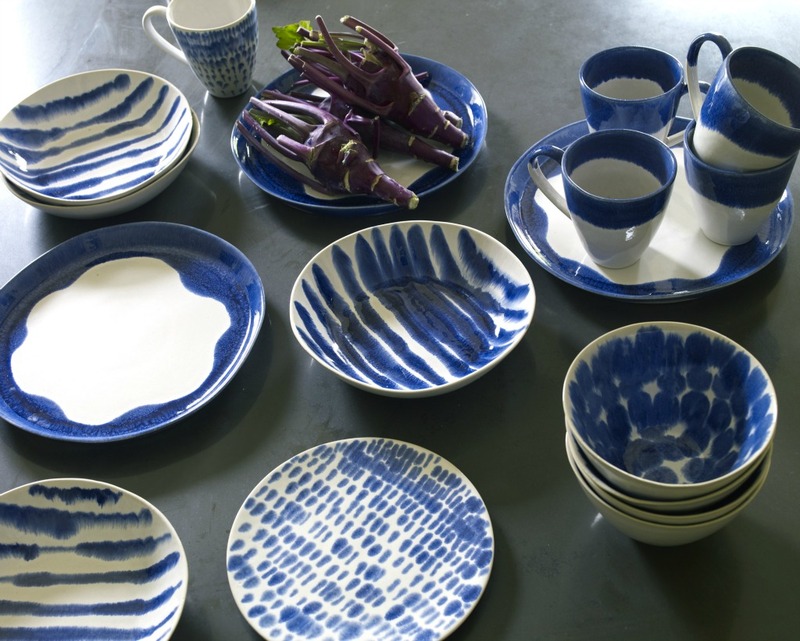 And here’s how it looks in the crockery range which again I find very pleasing. Another item that really stood out for me was in the lighting department. 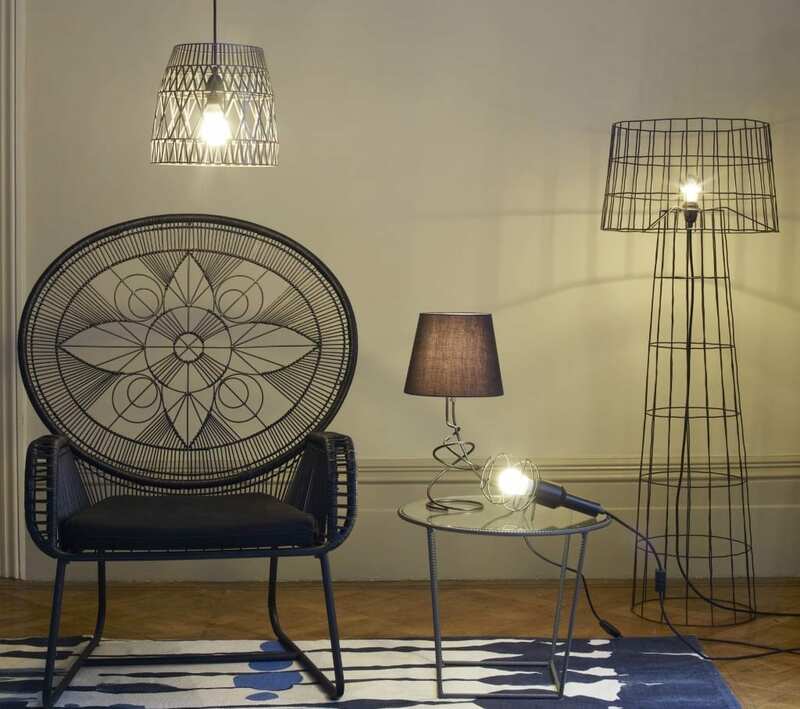 Flex Pendant Light (£120) is bold and striking with a random, tangled look that will appeal to a broad audience. 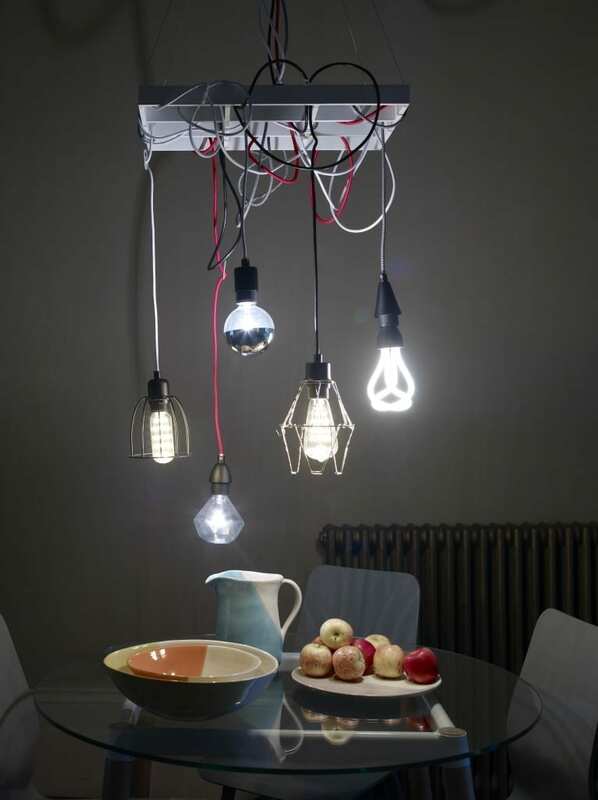 Allowing for a mix and match approach with the lightbulbs you can really create an individual look with this piece. Much of the collection focuses on bold linear shape and structural outline, and this next image showcases several of the products designed with this in mind. The Sura chair (£300) has a lovely spatial quality and mixes some very different styles to create something quite unique. I absolutely adore the standard lamp which has a very modern feel as well as being intrinsically raw and basic. 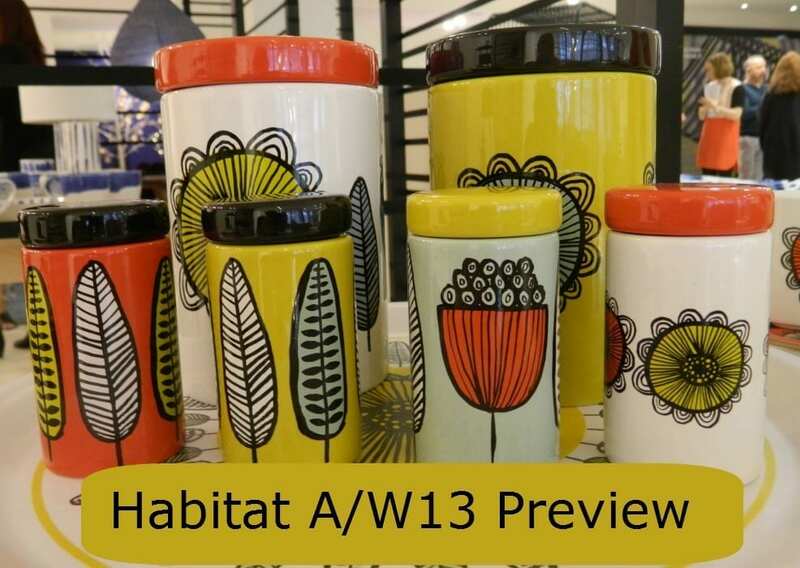 A delightful collection full of rich warm colours and bold designs, it was a pleasure to take a sneak peak of the Habitat A/W13 range in advance of it hitting the shops. When will it be available? Some items will start filtering through from late August to early September so do keep an eye out. Thank you to Habitat for inviting me to the preview event, and for my little goodie bag too!